Traditionally, DUI (DWI) offenders have been processed through the criminal courts. For most, punishment and the threat of greater future punishment serves as an effective deterrent, but for certain chronic DUI offenders, criminal sanctions have not shown much effectiveness in reducing recidivism. Following the much heralded success of drug courts, there has been a movement to take the principles of drug court and apply them in a unique model to meet the needs of the community in dealing with repeat DUI offenders. To date there are 89 DWI courts and 249 drug courts that also serve DUI offenders, and many more in the planning stages. How Is a DWI Court Different from a Normal Court? 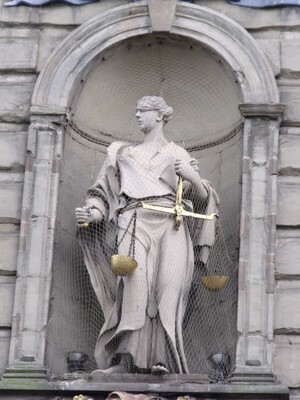 The conventional court model is adversarial, with the prosecution advocating for the community, the defending attorney fighting for her client, and the judge presiding and deliberating over the procedures. In a DWI court, the model is based on cooperation rather than confrontation, with the needs of the defendant and community seen as one. The best outcome for the defendant is to learn how to control alcohol or drug abuse behaviors, and this is also in the best interest of the community. DWI courts are a relatively new phenomenon, but initial data indicates that DWI courts are far more able to reduce recidivism in chronic DUI offenders than are traditional courts. In a DWI Court, the offender must plead guilty, and will not have their criminal record removed, as is commonly the case in drug court. How Does a DWI Court Work? In a DWI court, the offender pleads guilty to the crime and accepts the need for sanction. The sentence delivered by the judge will include a number of criteria, which will almost always include lengthy and intensive addiction treatment, complete abstinence from drugs and alcohol, and regular reporting and drug testing. The sentence will include a deterred incarceration component, and should the offender fail to meet the stipulated requirements in full, they will be moved into custody to complete their sentence. If the offender graduates successfully from the treatment program, and meets all stipulated requirements, deterred incarceration is waived. Additional stipulations can include community service, an alcohol ignition lock, a blood alcohol testing bracelet and random drug testing. Why Are DWI Court Sentences More Effective? Most people with drug or alcohol addictions will never seek out treatment, and most of the small percentage that do will not complete the recommended duration of treatment. Because DWI offenders are mandated to complete treatment in full, or go to jail, the treatment completion rate for DWI sentenced offenders is far higher than average.The time spent in treatment is the best indicator of a successful treatment, and so these offenders sentenced to alcohol or drug treatment have an excellent chance of overcoming their substance abuse problems. Most DUI offenders will be sentenced to a year or more of drug or alcohol treatment. For these chronic DUI offenders, their abuse or addiction is the primary cause of their intoxicated driving, and so by treating the addiction you can largely eliminate the crime. DWI courts demand both accountability and sanction, but work with the offender in an on punitive way, for the best interest of all parties involved.